Lisa Hollis began her violin studies at the age of five with Suzuki violin teacher Ellie Albers LeRoux. 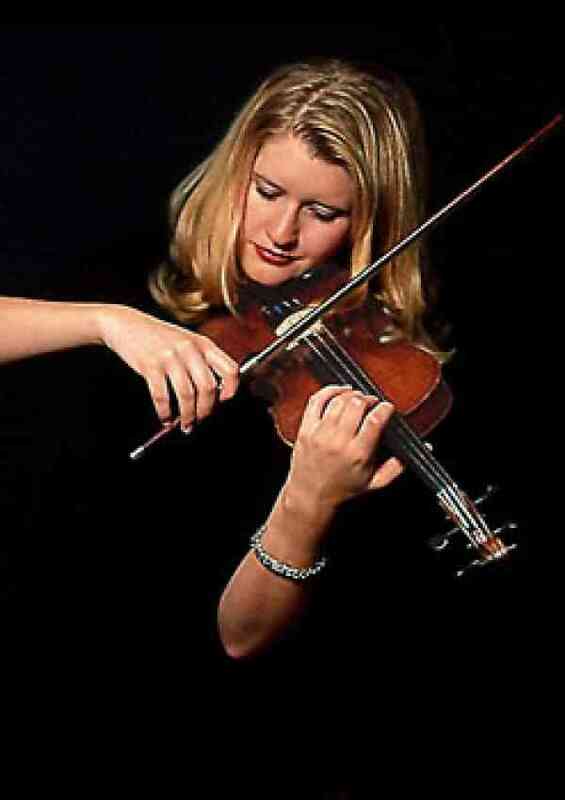 She holds a Master of Music degree in violin performance with an emphasis in Suzuki pedagogy from Northern Arizona University, where she studied with Dr. Louise Scott and Karin Hallberg. She has completed additional Suzuki training with Libby Armour, Linda Fiore, Ed Kreitman, Barbara Barber, and Dorothy Jones. After obtaining her Masters degree in 2003, she was appointed a teaching position with the Bermuda School of Music where she taught violin, viola, theory, orchestra and Kindermusik. Her students in Bermuda were regular performers and prize winners at the Bermuda School of Music’s annual “Students of Distinction” competition. She was also instrumental in implementing theory and orchestra into the the school’s Suzuki program, and in leading the school’s Suzuki strings group on three tours within Bermuda and on two international tours. Ms. Hollis has performed as a soloist in the Bermuda School of Music’s Some Enchanted Evening concert. She has also performed as part the Bermuda Music Festival, the Bermuda Philharmonic Orchestra, the Bermuda Festival Orchestra, the Longmont Symphony Orchestra, Flagstaff Symphony Orchestra, Johnson City Symphony and Kingsport Symphony. She has performed in concert with Josh Groban, Smokey Robinson, Quincy Jones, Kenny Rogers, John Ingram, Patti Austin, John Legend, and Michael McDonald. Ms. Hollis returned to Longmont, Colorado in August of 2011 and maintained a private studio in collaboration with Longmont Suzuki Strings. While in Colorado she performed with both the Longmont and Boulder Symphony Orchestras. Ms. Hollis moved to the Boston area in 2013 and joined the faculty at the Suzuki School of Newton in Massachusetts where she teaches violin, viola, Early Childhood Education, and preschool music classes. She also maintains a private studio in Jamaica Plain. When Lisa is not teaching violin, you can often find her underwater in the pool or in the ocean teaching Scuba diving classes.